At long last, the story that you never thought you’d hear. It’s the lostest of the lost episodes of the Dunesteef Audio Fiction Magazine. It is the age of super science. Dr. Nefarious is on the verge of inducing the singularity and destroying the world. The only hope for humanity is Malcolm…well, he’s not the only hope, there is a plan C. Don’t look for plan B, it’s not back there. 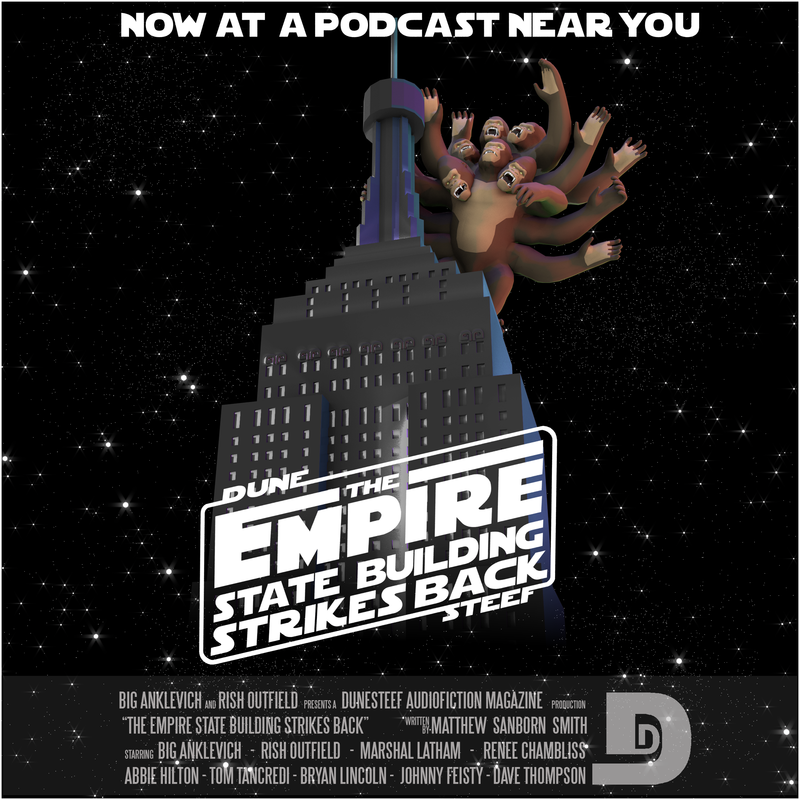 Afterward, Big and Rish apologize profusely to Matthew, and tell the sad, twisted tale of The Empire State Building Strikes Back‘s journey to audio publication. It’s a really sad, twisted tale. And…we’re really sorry this took so long, Matthew. Special thanks to Renee Chambliss, Marshal Latham, Dave Thompson “Podcastle Enforcer”, L. Scribe Harris, and Tom Tancredi for lending their voices to the episode, and to Sonny See for providing the episode art. Music in the story was by Kevin McLeod at Incompetech.com. This entry was posted on September 24, 2014 at 12:11 am and is filed under Fantasy, Matthew Sanborn Smith, Science Fiction, Short Story. You can follow any responses to this entry through the RSS 2.0 feed. You can skip to the end and leave a response. Pinging is currently not allowed. I’m rubbing my eyes in wonder!